A two-car Toyota team head the ARC entry list in 2019. 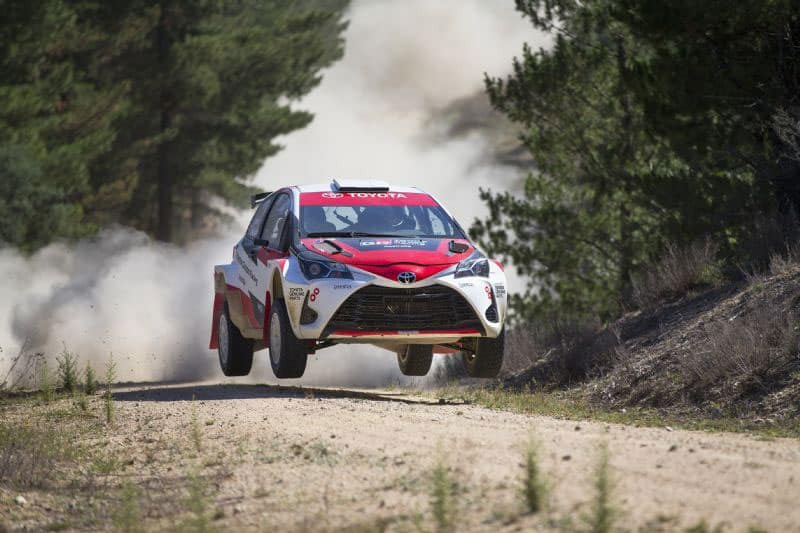 All eyes will be on Busselton on Friday night when the CAMS Australian Rally Championship (ARC) gets underway for 2019. The Make Smoking History Forest Rally will feature 48 crews competing across the ARC, CAMS Zestino Tyres WA Rally Championship (WARC) and CAMS WA Clubman Masters and Cup Series on 5-7 April. With plenty of familiar and fresh faces making the trip west for the opening round of 2019, a fierce battle is expected across the entire field, with new cars and new teams meaning there will be plenty of unknowns until the first stage gets underway on Friday. Toyota Gazoo Racing’s Harry Bates and John McCarthy will be first on the road in their brand new Toyota Yaris AP4. The car only got its first taste of action at a pre-season test in the last few weeks, but Bates was confident in its performance. “Forest Rally has really crept up on us, but obviously it’s an event we’ve been looking forward to for a long time,” Bates said. Toyota have done plenty of testing with their Yaris AP4s. Teammate and brother Lewis Bates will compete in the Yaris AP4 Harry drove in 2017 and 2018. It’s a big step up from the Toyota Corolla S2000 for Lewis, who this year will be joined by co-driver Anthony McLoughlin. “I can’t wait to get out into the forest, I’ve been waiting four months now since the end of Coffs Harbour,” Lewis said. 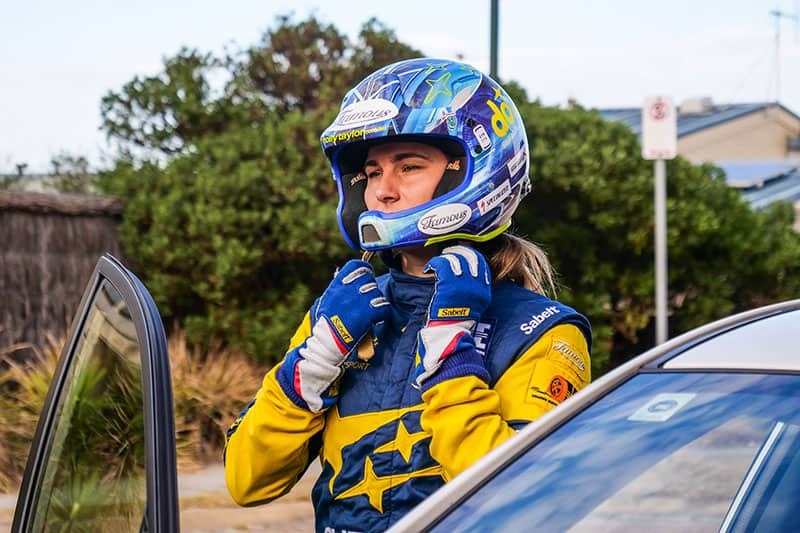 Subaru do Motorsport’s Molly Taylor will also debut a new car this weekend, with a new team in Craig Brooks’ Orange Motorsport Engineering preparing the factory-backed Subaru in 2019. “I feel like we’ve been waiting a long time for the start of the season,” Taylor said. The 2018 Championship winning Skoda Fabia R5 returns to ARC action this year in a different livery, this time with West Australian John O’Dowd and Toni Feaver behind the wheel of the proven speedy machine in its new Truck Wholesale WA colours. Shamrock Haulage’s Richie Dalton returns to the ARC in 2019, joined by co-driver Dale Moscatt in a Ford Fiesta G4 – the first of three G4s on the road in the forests near Nannup this weekend. 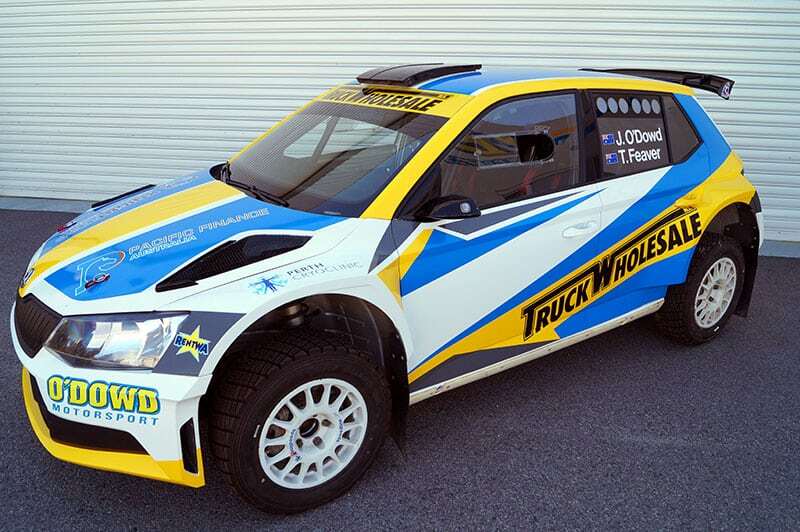 John O’Dowd will debut his ex-Eli Evans Skoda Fabia R5. Up & Go Emergency Tyre Repair’s Troy Dowel and Simon Ellis will debut the Hyundai i20 G4 and J Sport’s JJ Hatton and Nathan Long will also roll out their own i20 G4 for the weekend. All G4s are expected to be fast and take it up to the likes of the Bates, Taylor and O’Dowd – meaning the Championship is well and truly up for grabs in 2019. Activ Rally Sport will prepare all three G4s in WA and team manager Justin Dowel was excited about what lay ahead. “The crew have worked three weeks straight preparing all the cars and all the drivers are really happy and excited,” Dowel said. Another crew part of the Activ Rally Sport set up is Western Victoria Crane Trucks’ Darren Windus and Daniel Brick. With Windus returning to the ARC after several years away, the duo will be keen to impress in their Subaru Impreza WRX. Maximum Motorsport’s Tom Wilde and Madelin Kirkhouse will compete in both the ARC and WARC in their Subaru WRX STI, with the backing of their hometown crowd spurring them on. Molly Taylor will suit up for Subaru and Craig Brooks this weekend in WA. Snickers Racing’s Luke Anear returns for his second year of rallying after an impressive debut season, which included a podium finish at Kennards Hire Rally Australia. This year, Anear will potentially have an ace up his sleeve with accomplished driver and co-driver Steve Glenney sitting alongside him. Glenney finished second in the ARC last year, and was a regular on the podium in 2018. After a full debut season in 2018, Haowen Chu returns to the ARC, this time in a Hyundai Lantra. Chu, with co-driver Caleb Ash, will be eager to show his improvement with more experience and knowledge of each event. Spectators can enjoy all the action of the Make Smoking History Forest Rally for free, including Friday and Saturday night’s Trade Hire Super Special Stage on the Busselton foreshore. The service park is located a short drive away in the small, picturesque town of Nannup. Keep an eye on rally.com.au throughout the three days of action for all the latest news and video, including live streams and exciting rally content. Follow and share your own experiences at the rally on social media using #ARC19.